The Shopping Channel has a Last Chance Sale on now! 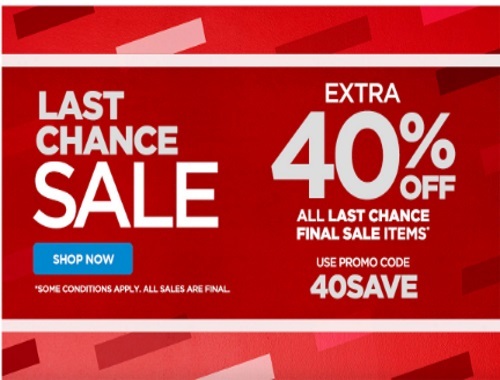 Save an extra 40% off any Last Chance Final Sale Items with the promo code below! Offer is valid October 20 2016 from 10pm ET to October 21 2016 9:59pm ET. Enter the promo code 40SAVE at checkout.